Gabapentin is a drug that is used to treat chronic pain and is often used together with opioids. Despite gabapentin being generally perceived as safe, coprescription of opioids and gabapentin is known to increase the amount of these drugs absorbed by the body and the way in which these drugs affect the central nervous system. This can potentially lead to dangerous risks of overdose when these drugs are used together. 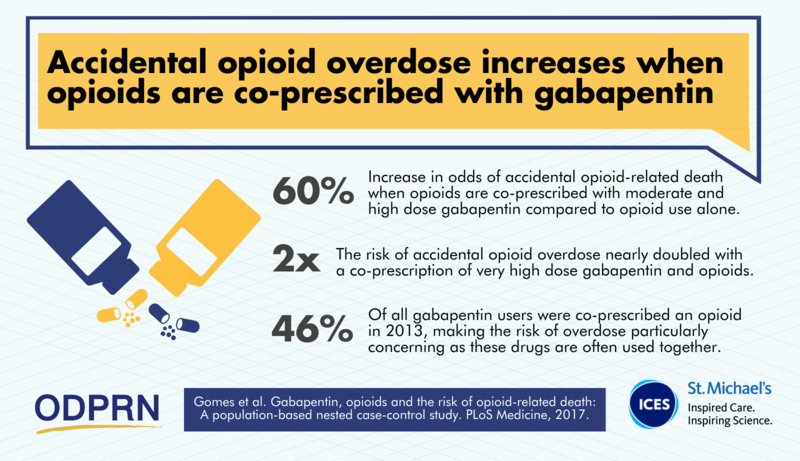 This study examined whether co-prescription of gabapentin and opioids was associated with an increased risk of accidental opioid-related death.